Neither rain, nor sleet, nor snow, nor slush, nor... really bad drivers on GA400 North... can keep a TGN Reporter from his posting duties. Despite a dusting of snow threatening to shut down the city of Atlanta, we're still here to bring you the podcasts that we found in the past week. Below you will find: Adeptus Infernus 015, d-Infinity Live! 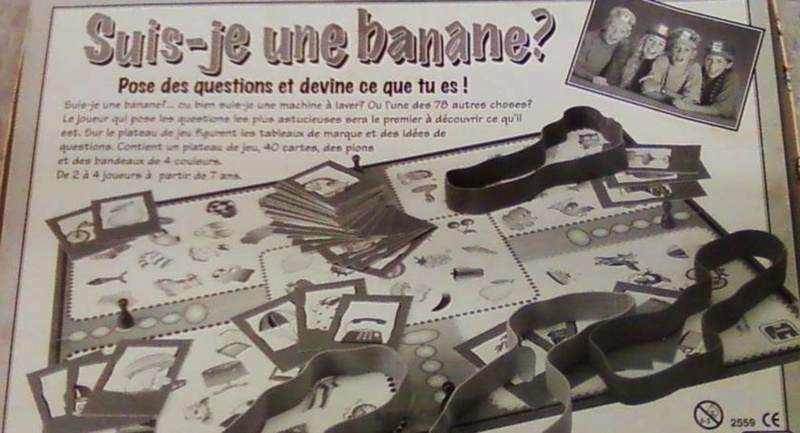 Series 4, Ep. 8: Animal Characters, and Hand Cannon Online's various shows (including Forgot to Feat ep 41, A Thrall Life ep4, and a new interview on Removed From Play). It's another Tuesday and that means another Podcast Roundup here on the TGN Ranch. 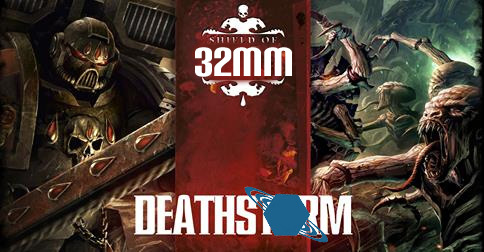 This week we've got: Shut Up and Sit Down Podcast #25, Adeptus Infernus 014, and the usual ones from Hand Cannon Online such as Removed From Play, ScrumCast, and A Thrall Life. It's Tuesday again (I can tell because I'm in my Tuesday shirt) and that means another Podcast Roundup. So what've we got for you this week? Well, there's the usual releases from Hand Cannon Online, including Removed From Play, Murder of Crows, and the Scrumcast. Also, we've got the return of The Shiny Model Syndrome, with episode 73. There's a new podcast in the form of Guild Ball Tonight. We also have a new vidcast from Gamers on Games. We wrap it all up with Gamers Behaving Badly episode 5. It's time again for another Podcast Roundup. This one sees the first for-purchase episode of Removed From Play as they go to a subscription format (note: the half-dozen or so other podcast they have on Hand Cannon Online are still free). We've got Geeks of the North episode 9. There's some ramblings from the Game Classy crew. There's some Adeptus Infernus in there. There's our own Enrico Nardini guest-starring on d-Infinity Live! 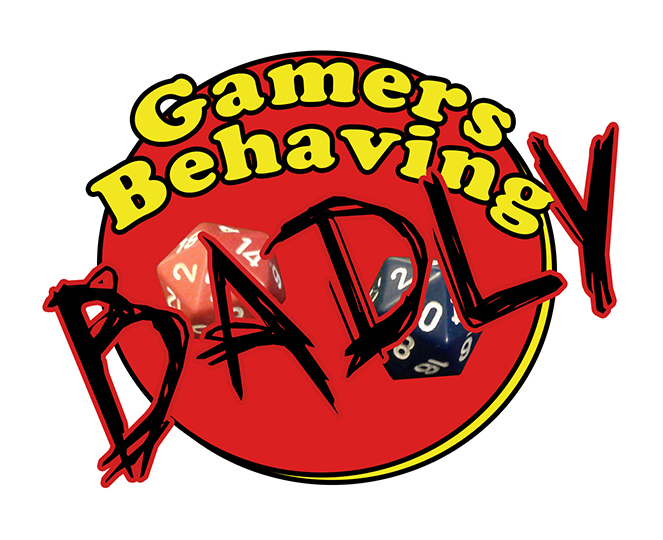 And round it off with Gamers Behaving Badly episode 4. In the same theme of the Review Roundup, here's the podcasts we found in the past week we thought you'd enjoy. Hand Cannon Online has posted episode 23 of Removed From Play up online for your listening pleasure. This episode is all about WMW and Brandon Cating’s path to victory…so we felt the best guest for the episode would be Brandon Cating : ) After a break down of the games we went into questions from the forums for Brandon. West Coast…Best Coast! Hand Cannon Online has posted episode 22 of Season 2 of Removed From Play up online for your listening pleasure. This episode is blessed by the presence of Tim Banky. We talk about his prep for the WMW Last Chance Qualifier and his lists for the event. Hand Cannon Online has posted episode 21 of Season 2 of Removed From Play up online for your listening pleasure. In episode 21 we are joined by James Moorhouse. We primaily discuss international competition and the future of media for Warmachine. James was a great guest and pleasure to have on the podcast! Hand Cannon Online has posted episode 19 of Season 2 of Removed From Play up online for your listening pleasure. We are joined Lukasz aka Ullyxes for this episode. We talk about some Menoth, Legion and Minion lists. All round great time! Hand Cannon Online has posted episode 18 of Removed From Play season 2 up online for your listening pleasure. Craig Conroy joins for episode 18 so we can talk about the WTC and handling the match up system. Hand Cannon Online has posted up episode 16 of Season 2 of Removed From Play online for your listening pleasure. This episode has the incredible guest host…Florian Stitz. 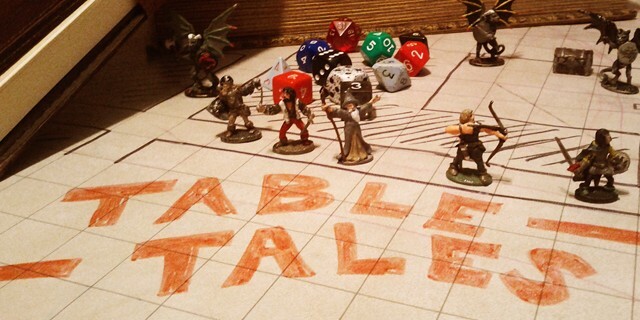 We talk gaming, warmachine, and artwork in the nerd world. Great episode and I am sure you guys will enjoy it. Hand Cannon Online has posted Episode 15 of Season 2 of Removed From Play up online for your listening pleasure. 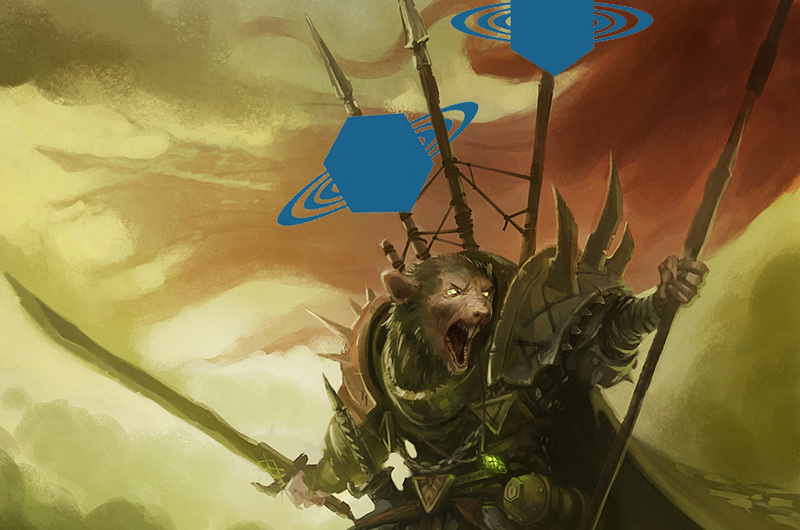 We decide to take this episode and talk about Bloodrath getting into Tournament play with Khador and the things Omnus has learned while going through all the WTC lists. Hand Cannon Online has posted episode 14 of Season 2 of Removed From Play up online for your listening pleasure. In the 14th episode we are joined by Dr. Jacob Frelinger. We talk about Khador, Minions, High Command, IMC and the High Command App. Hand Cannon Online has posted episode 12 of Season 2 of Removed From Play up online for your listening pleasure. This episode has special guests Mark Stanley and Jake Shearer. We get into some hobby talk and discuss the army swap between Mark and Emon. Hand Cannon Online has posted episode 11 of Season 2 of Removed From Play up online for your listening pleasure. Hand Cannon Online has posted episode 10 of Season 2 of Removed From Play up online for your listening pleasure. Tim Black aka Mercykiller the man behind the Stormhammer Brigade and the Crimson Harvest has joined us to discuss all of his projects. 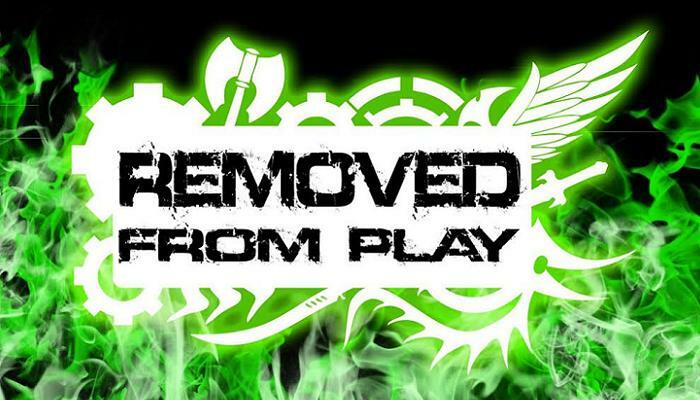 Hand Cannon Online has posted episode 5 of Removed From Play Season 2 up online for your listening pleasure. This episode focuses on communicating your plans for lists to your community, netlisting, Special Unique Snowflake Syndrome, and general list building advice. 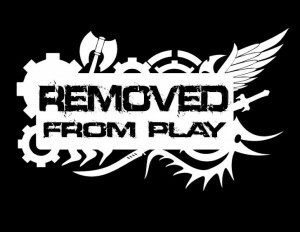 Hand Cannon Online has posted episode 4 of Removed From Play Season 2 up online for your listening pleasure. Sam “Susan” Ross from RFP: Into the Arena guest hosts with for episode 4. We talk about Sam, Iron Gauntlet and the finals match for the first IG Qualifier of the new season. 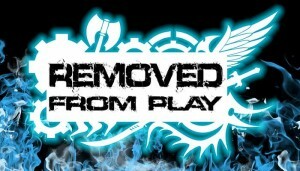 Hand Cannon Online has posted episode 3 of Removed From Play up online for your listening pleasure. We are joined by Jamie Huddle from Focus and Fury. We find out a lot about Jamie and then we talk about Pressganging and event organization of all levels. Thanks for joining us Jamie! Hand Cannon Online has posted episode 1 of Season 2 of Removed From Play up online for your listening pleasure. We recorded a hundred episodes of RFP and felt it was time to start the second season. This is our new beginning. Emanuel and I decided to talk about where we started, how much has changed and approach a variety of general WM topics to get a feel for where we are now. 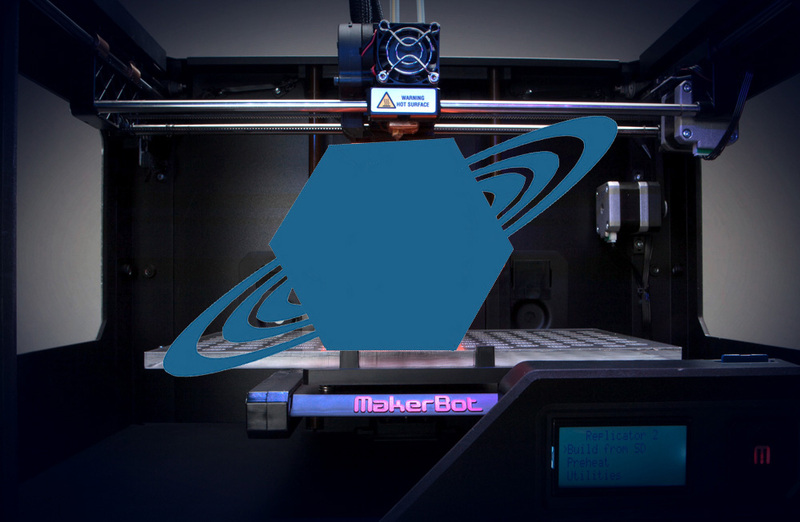 Most of all…we are just excited to bring you a new era of RFP.